Antivirus and antispyware protection for companies of all sizes utilizing advanced technologies and functionalities such as cloud-powered scanning, device control and remote manageability of clients. Protect company networks with proven Antivirus, antispyware and advanced device control funtionality. Rely on a solution that minimizes system slowdowns and comes with a broad range of customization options. * ESET Endpoint Antivirus is a suite of solution encompasing several software which will protect your servers and desktops. 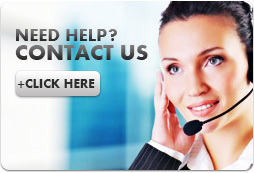 • Eliminates all types of threats, including viruses, rootkits, worms and spyware. – Whitelisting of safe files based on file reputation database in the cloud. – Only information about executable and archive files sent to the cloud. • Blocks unauthorized media and devices from the system. • Lets you set rules/parameters for specific media, devices, users and clients. • Enables you to define rules for system registry, processes, applications and files. • Detects threats based on system behavior. • Allows you to scan devices and media for malware immediately upon insertion. • Scanning options include: start automatically/notify (prompt user)/do not scan. • Delivers proven protection while leaving more system resources for programs you regularly use. • Detects and eliminates malware targeting Windows, Mac and Linux operating systems. • Allows you to create an automatically bootable OS image with installed security solution to clean deeply infected endpoints. • Reports and web dashboard highlights situation that requires your attention. and control of all ESET security solutions deployed in the network. It allows central management of security paramters and options on all endpoints, servers and mobile devices. • Lets you manage all ESET security solutions software from a central management tool. • Enables you to create static and dynamic clients groups and using different parameters for populating the groups. 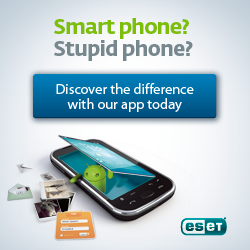 – Enforce password complexity with ESET Remote Administrator. 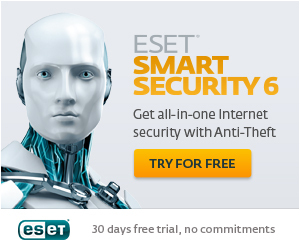 • Performs remote installation of ESET software to multiple endpoints at once. • Enables you to import/export/edit policies in XML. • Remotely activates or deactivates protection modules installed on a given client, including firewall, anti-stealth, real-time file system protection, web-access and e-mail client protection. • Ensures complete oversight of the company network and lets you check the security status from anywhere. • Lets you save logs in common formats - CSV, plain text, Windows event log - readable by SIEM tools. • Allows you to specify log and report parameters or choose from more than 50 templates available for different system/client events. • Gives you the option to set threshold for event notifications. • Device Control Reports deliver comprehensive logs and reports for all device-related events. • Integrates with the RSA enVision SIEM tool via a plug-in. • Performs in-depth analysis of endpoint systems to identify possible security risks. • Enables you to set random time periods for executing scheduled security tasks. • Lets you revert to a previous version of protection modules and virus signature database. • Saves company bandwidth by downloading updates only once to a local mirror server. • Provides an optimized and streamlined database access to endpoint security-related data. • Deploys server side System Health Validator (SHV) plug-in and client side System Health Agent (SHA). ESET Endpoint Antivirus bundle and ESET Endpoint Security bundle protects all ESET supported operating systems. This includes protection for Mac OS X desktops and Linux desktop/servers on top of WIndows desktop/server. Please do ask our sales agent if you need more information. If you would like to try ESET's business solution, we would be happy to provide you a trial based on your requirements and have a sales consultant assist you on your requirements. Our sales agents will contact you soonest possible.